Diageo is releasing the first in a new series of John Walker & Sons Private Collection series whiskies at Singapore’s Changi Airport this month, with other Asia-Pacific travel retail outlets to follow in June. The 2014 edition kicks off what will be an annual release for the luxury expression, with 8,888 bottles to be available at a recommended price of around $750 USD each. Johnnie Walker master blender Jim Beveridge used 29 experimental casks from his private reserve to create the 2014 edition. Ireland’s Teeling Whiskey Company has confirmed the release of limited-edition 26 and 30-year-old Irish single malts, as first mentioned by managing director Jack Teeling in a February WhiskyCast interview. The 26-year-old Gold Reserve received a year’s extra maturation in white Burgundy wine casks, while the 30-year-old was matured exclusively in a Bourbon cask. Approximately 1,000 bottles of the Gold Reserve will be available at a recommended price of €475 ($600 USD), while 250 bottles of the Platinum Reserve will be available for €1,500 ($2,000 USD) at Dublin’s Celtic Whiskey Shop and The Loop’s Irish Whiskey Collection shop at Dubin Airport at first, with limited amounts to be available later through select whisky specialist retailers. 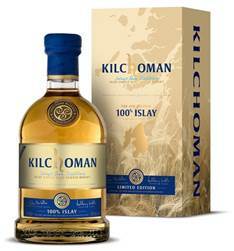 Kilchoman is releasing the fourth edition of its 100% Islay malt on Monday (May 12). The whisky is distilled from barley grown on farmland next to the distillery, and is produced “grain to glass” on site. 80% of the whisky comes from 5-year-old first-fill ex-Bourbon barrels, while the remaining 20% comes from 4-year-old first-fill ex-Bourbon barrels. 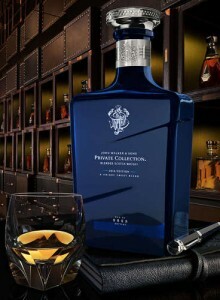 It’s bottled at 50% ABV and will be available worldwide with a recommended price of £69.95 ($118.50 USD) per bottle. Maverick Drinks, the independent bottler owned by the founders of Master of Malt, is debuting a new range of so-called “sherry monsters” under the “Darkness” brand. The initial releases include a 15-year-old Benrinnes finished in Oloroso casks (shown), a 15-year-old Macallan finished in Pedro Ximenez casks, and a 21-year-old Ardbeg finished in Oloroso casks. The range will be available through whisky specialist retailers and Master of Malt. On the blended Scotch front, Master of Malt has released a new 10-year-old blend that will be available exclusively through the online retailer for £39.95 ($67.50 USD). The blend is bottled at 47.5% ABV with no chill-filtering or caramel coloring. Finally, details are still being kept secret, but the Polish wealth management behind vintage releases of Karuizawa and Glenfarclas single malts plans to announce its next release in a May 13 webcast. Wealth Solutions has acquired a cask of a 66-year-old single malt distilled in 1948, but has not disclosed which distillery produced the whisky. Wealth Solutions plans to sell 160 bottles of the whisky for an as-yet undisclosed price.